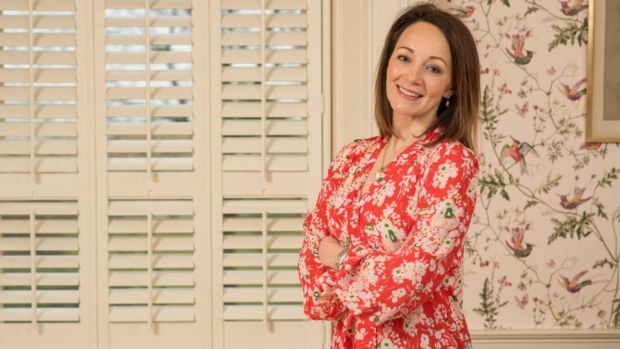 Sara gets involved in the conversation on keeping a tidy home in the Irish Times as viewers find inspiration with Marie Kondo’s new Netflix show ‘Tidying Up with Marie Kondo’. Hands up who made resolutions to live a less cluttered life in 2019? You are not alone for on January 1st, a day that you’re probably still finding dirty glasses and crisps in the carpet from the night before, Netflix launches a new series that is designed to bring joy into your life. The show, Tidying Up With Marie Kondo follows the queen of decluttering as she embeds herself in several homes in an attempt to help them mend their messy ways and move on with their lives. On a day when you may feel far too bleary-eyed to really contemplate a big clean-up, it seems especially cruel to give us Kondo in all her glowing positivity but if not then, when? Kondo’s big question to all of us is this – which garments, objects, furniture and furnishings bring joy into our lives? Then you’re expected to select those that don’t and rid yourself of them. The thinking is beautifully simple as her best-selling books attest. But much of what she says is a premise that has already appeared on the small screen, most notably RTÉ’s Home Rescue, formerly Desperate Houses, fronted by warm-hearted architect and interior designer Róisín Murphy, whose role is to make existing spaces work rather than getting home owners to invest five and six figure sums to change a home’s look as well as its feel. Kondo’s credo makes a whole lot of sense in homes where you have complete autonomy over the clutter but what of those abodes where partners and children are also culprits – how do you deal with their collective clutter? It’s a constant edit, says Carolynn Doyle of Family Flow, a company that helps families declutter their homes. 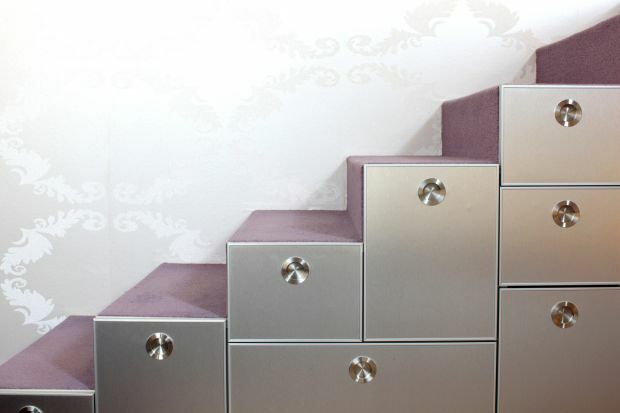 “Kids are already taught at school that everything has a place so you just need to create the same structure at home.” She suggests hidden drawers for under the stairs, where each member of the family can be allocated a drawer of their own for their own stuff, be it a schoolbag, games gear and rainwear so that they can find it at a minute’s notice. The former montessori teacher believes clutter is a physical manifestation of life’s baggage and when she works with a family she will often suggest culprits also do some form of cognitive behavioural therapy in an effort to minimise past mistakes. Before you ring in the new year and sit down to watch Kondo, Doyle recommends you go through your home and make a list of all the things that annoy you and/or don’t work in each room. It could be a leaky tap, drawers that get stuck, blown light bulbs or a smoke alarm that needs new batteries, and then get everyone in the household to make suggestions on how to resolve the issues dividing up the ‘jobs’ between all members of the household so that one calls the plumber to fix the tap, another goes to the hardware shop to buy light bulbs, digs out a ladder and climbs up to install replacement and so on. Get the kids involved and you’re on your way to a cleaner, less cluttered 2019. Make each child do his or her own laundry, learning how to work the washing machine and what clothes are compatible with the drier and then hanging them up and putting them away when dry – within a 24-hour period and next year will a least start off as a dumping ground free space. But where is the joy? The joy is in the lack of family rows and resentment, she says, and by leading by example. The hallway is the first area of the home guests will see and more importantly the first place you see when you come home after a long day. Unfortunately, the hallway is also the area where coats, shoes and bags tend to pile up along with a variety of post, junk mail and other bits and pieces that don’t have a fixed abode. 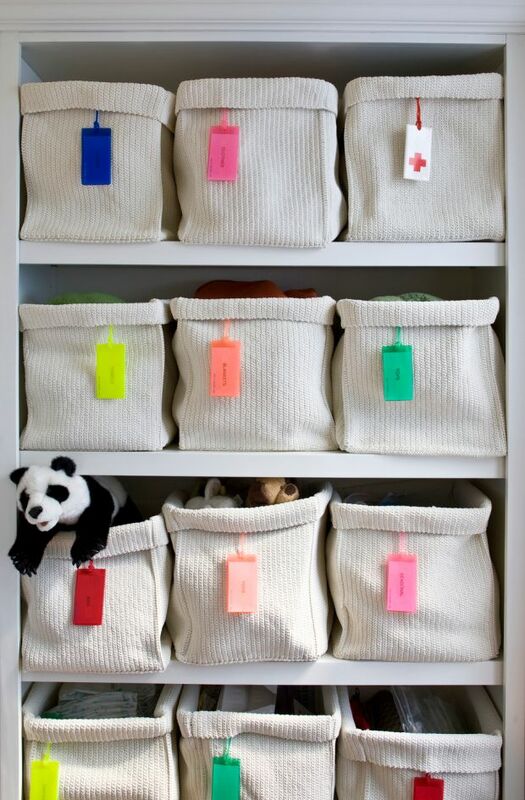 Create a space by the front door where you can drop your belongings and sort your post as soon as you come home. A console table with a bowl for keys and tray for the post, hooks for coats and hats, and most importantly a wastebasket, will help you to deal with the flow of items coming into the house. Baskets or boxes are a great idea for shoes and a no junk mail sign is highly recommended if you don’t have one already. I’ve visited countless homes over the years and those who have the luxury of a spare room often refer to it as the junk room. This overlooked space is so often a victim of “out of sight, out of mind” and tends to become a general purpose dumping ground. My advice here is to set aside some time and give this room a ruthless clear out. I know parting with things can often be a struggle for people. Keeping things because they may come in useful one day or for sentimental reasons can lead to a huge amount of surplus unused objects in your home that take up precious space. So it’s vital you take the plunge and start sorting. Once the room has been cleared, try to give it a purpose – a home office, study space or even laundry/ironing room. By clearly defining what the room is to be used for you’ll be less inclined to think of it as a storage area and allow things to pile up again. 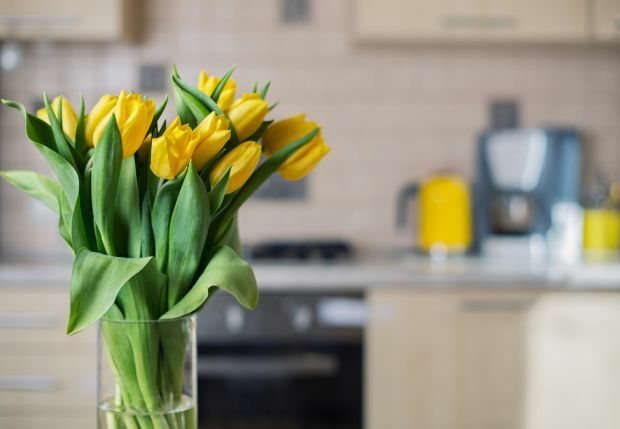 “A Dutch florist friend says a big bunch of yellow tulips are the best way to brighten up January. I get the same level of pleasure from a big yellow skip. I know it sounds dramatic but there is nothing more cathartic than doing a big January clear out.